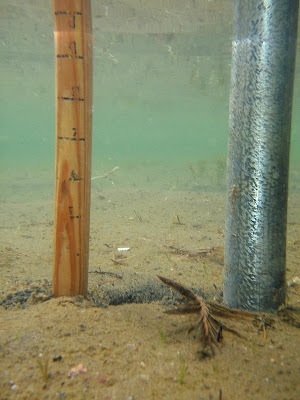 9.5" - Measured from the base of the right post at the end of the dock the morning we left. A few days of rain and thunderstorms helped. 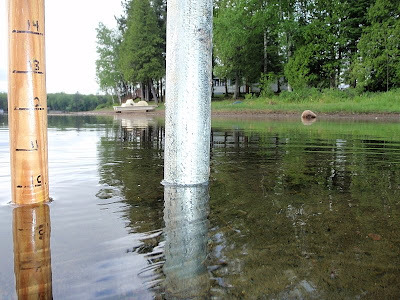 Looks like the level was over an inch deeper than when the dock extension was added.